There are few data provided by the foundry which is only effecting the Resistance or Capacitance of the design. Means there are different width variation values for effecting the Resistance and Capacitance. These type of info usually provided by 2 different tables (for any type of the variation), one specific to Resistance and other specific to Capacitance. I know you might be thinking that how it can be possible. Before I will explain that, it’s my duty :) wanted to remind you following thing. In design wire is long and thick (like showed in the 3D view). Length part which I am referring to is 2D view (Top View in below picture) and Thick part which I am referring to is 2D view (Front view in below picture). In previous articles (where I have discussed about the different type of Width Variations), I have explained the width variation Type 1 to 5 using the Front-View and Variation type 6 -7 using the Top View. Actually, in design it’s the combination of both views. Everywhere, we are talking about the variation linearly But what about the below picture? Yes, now we are talking about the non-uniformity in the wire itself. 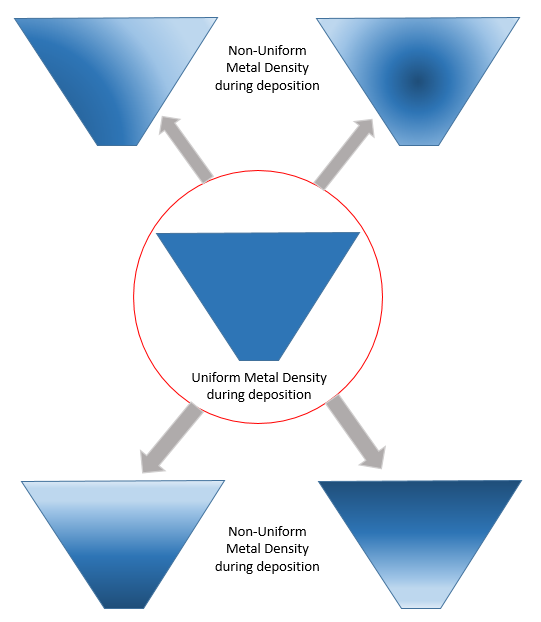 These non-uniformities can be introduced as part of Etching, Deposition or Lithography process. And remember, these are different from what we have discussed till now (Means variation type). Now, if I will ask you how to model these non-uniformities, then maybe you can say that it’s very simple. 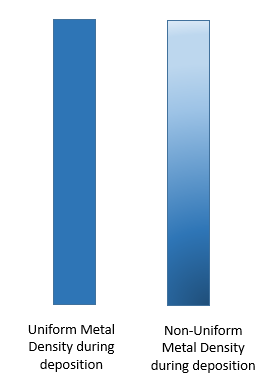 Let’s take the average of this and model it as part of Width variation type. Means the calculation of the values of Bias which we are going to apply on the width should be as average value of these non-uniformities. C is more determined by outer edge of interconnect, R by average resistivity. 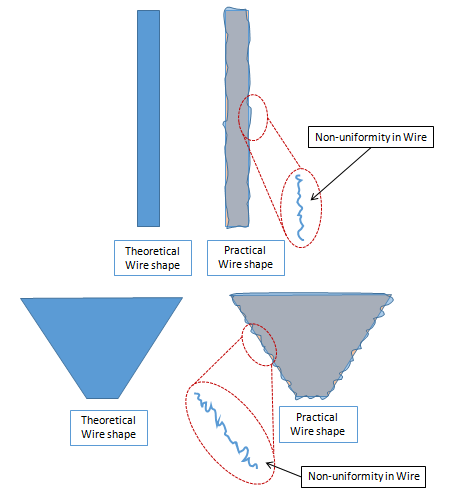 These non-uniformities can change the distance between 2 adjacent metal wires at different point (along the length of wire), so while you are averaging the effect – may be you will consider this factor and then come up with an average biasing value which suppose to apply on width of wire. C is related to deposition of Charge in a plate (outer edge of plate) (we have studied this in school. There will be a lot of irregularity or say non-uniformities in the density of charge at each and every point of layer (sharp edges Vs flat edge) and if that’s the case – we have to consider that part also while doing averaging and decide a final bias value for entire edge. We are more concerned about the flow of current (Means flow of electron). So mobility, drift current, effective current – these concepts comes into the picture. So while averaging these non-uniformities for R, we will consider these factor more in compare to outer distance from other metal. You can now imagine that the same non-uniformities effects Resistance and Capacitance differently and if we want to model this – we have to divide our variation into 2 categories. Now let’s talk about one more reason of this. :) Below picture is self-explanatory (I think so). Color shades represents the metal density. Now, may be you are thinking, why it will happen and how it will effect Resistance and Capacitance. then fill it up with the interconnect material. This filling is done in different steps and somehow final material does not have uniform resistivity in cross-section (horizontal or vertical). Just because of this we have to apply different biases for R and C as a function of width. Etching is done by bombarding loaded particles out of a plasma on the wafer surface under guidance of an electrical field. This field is not uniform but is (slightly) deformed by longer range density of the pattern and influencing etch speed. Additionally the etched away material may also influence local etching performance. Variation info can be in the following way. Note: I just took the example from variation type 1, but same concepts can be applied for other tables or other type of variation parameter also.